This month, The Circuit closes the 2018 Formula One season from the Abu Dhabi Grand Prix. 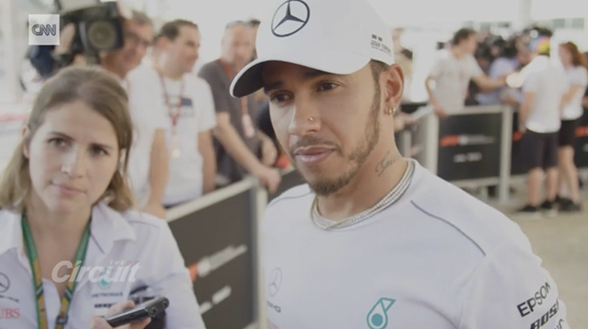 Host Amanda Davies looks back at the season as Mercedes driver Lewis Hamilton celebrates becoming a five-time Formula One world champion and looks ahead to 2019 and some of the potential world champions of the future. Highlights from the show include interviews with world champion Lewis Hamilton, British former Formula One driver Sir Jackie Stewart, OBE, Ferrari team principal Maurizio Arrivabene and driver Charles Leclerc, a rookie on the 2018 grid. On this month’s episode of Quest’s World of Wonder, Richard Quest travels to London, the home of ritual and royalty, pomp and parliament, elitism and elegance. The programme explores the city’s upper-class society, going behind the scenes of the world’s oldest magazine, Tatler, which has been reporting from the frontline of privilege since 1709. Quest meets Tatler’s editor-in-chief Richard Dennen and author of the Sloane Ranger Handbook Peter York to discover what it takes to be “posh” in London in the 21st Century. A more diverse representation of London was on show this year at the wedding of the Duke and Duchess of Sussex. Quest sits down with Karen Gibson, founder and director of the award-winning Kingdom Gospel Choir, whose performance of ‘Stand By Me’ at the royal wedding captured hearts across the globe. The programme also meets actress Naomie Harris, who discusses her work as patron of the Intermission Youth Theatre. The group works with young Londoners from socio-economically disadvantaged backgrounds to offer them opportunities in the arts. Finally, London is the city that has birthed a myriad of subcultures – from the Goths of Camden to the punks of the Kings Road. The programme meets photographer Damien Frost who has been documenting the drag scene in Soho over the past decade and meets some of the most colourful characters he has captured through his lens. On Living Golf, presenter Shane O’Donoghue sits down with Mark Steinberg, Tiger Woods’ agent of 20 years. Steinberg sheds new light on his star client’s new comeback; this year, Woods rose from 649th in the world rankings to inside the top 20 after winning his first tournament in five years. This month’s programme also reviews the last year of golf, and includes interviews with Rory McIlroy in Ireland ahead of the US Open; Francesco Molinari, who went on to claim his maiden Major title at The Open in July; Georgia Hall, who also won her first Major at the Women’s British Open this year; and Lorena Ochoa, one of the most dominant players the women’s game has ever seen. As the doors open to the city’s first contemporary art institution, CNN Style turns the spotlight on Dubai. During the visit, CNN meets legendary Tunisian street artist El Seed, Iraqi calligrapher Wissam Shawkat and the first collector to open a private museum in the city, Ramin Salsali. CNN Style Dubai also gets exclusive access to the royal art collection with its gatekeeper – Her Highness Sheikha Latifa Bint Mohammed Bin Rashif Al Maktoum. As Vice Chairman of the Dubai Culture & Arts Authority, the daughter of the Ruler of Dubai keeps a keen eye on the cultural landscape of the city as well as her family’s personal treasures. The modest fashion movement is perhaps the city’s most popular fashion export – pioneered by local businesswoman Ghizlan Guenez, founder of “The Modist” which is the first global e-commerce platform offering luxury fashion to women who prefer to dress in a demure way, across religions, age groups and ethnicities. From high fashion to haute couture – CNN Style meets Rami Al Ali, the first Dubai-based designer to show his collections at Paris Couture Week. Behind the scenes with Vogue Arabia at Dubai Airport, CNN meets Belgian photographers Geil Domen and Kenneth Van de Velde as they shoot the first hijab-wearing model to be signed by Storm Model Management for the December issue. CNN follows former professional footballer turned culture ambassador Hidetoshi Nakata as he introduces CNN to what the Japanese capital has to offer on Spirit of Tokyo. Nakata takes CNN to the picturesque Ukai Chikutei, a restaurant dedicated to showcasing the best of Japanese culinary heritage. CNN also visits restaurant TREE by Naked which incorporates virtual reality and digital projection to give visitors a full sensory dining experience. Nakata also gets a tour of The Geihinkan, a national treasure that accommodates heads of states and diplomats visiting Japan. From there, the programme then heads to Archi-Depot, Japan’s first museum dedicated to preserving and pursuing Japan’s architectural legacy and meets some of Japan’s most prominent architects, including Tomoyuki Sakakida, Kengo Kuma, Hitoshi Abe and Shigeru Ban. The programme also travels to Yanaka, one of the oldest neighbourhoods in Tokyo, and checks into Hanare, a new concept hotel where guests are encouraged to spend time engaging in cultural experiences with the local community. At Okutama, a hidden oasis of natural beauty, and CNN boards a Tokyo cruise to take in the beautiful city sights and learns how Tokyo plans to make its return as a water city. In 2015, Misty Copeland made history by becoming the first African American female principal dancer with the prestigious American Ballet Theatre, one of the top institutions for ballet in the United States. Since then, the self-described “unlikely ballerina” has dominated the ballet scene, both on and off stage. Copeland has written books, fronted big brands and inspired countless young boys and girls both in and outside the world of ballet. Talk Asia meets Copeland in Hong Kong, where she headlined Asia’s first production of the ballet “Whipped Cream”. CNN asks Copeland about her journey to success, the challenges of overcoming stereotypes and her experiences performing in some of the most coveted roles in ballet. Destination Budapest explores the best of the Hungarian capital at the busiest time of the year. CNN explores the city’s famous Christmas Markets and Europe’s biggest outdoor ice rink, which is open once more for the festive season. As the State Opera is rehearsing for their Christmas shows, CNN catches up with the ballet dancers and singers. CNN also gets an exclusive tour of the city’s most famous piece of architecture, the Parliament Building. And finally, Destination Budapest takes the viewer hunting for the most precious ingredients of the Hungarian cuisine: truffles!